A year! One whole year! 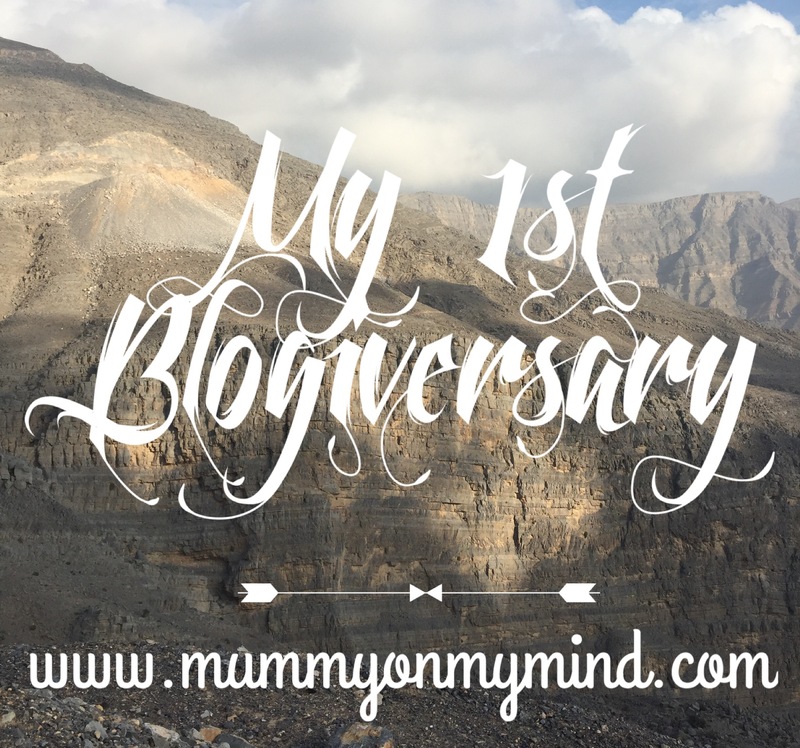 It’s been a YEAR since I started this blog, and already Mummy On My Mind has exceeded all expectations I had for it. It all began as a creative outlet since becoming a Stay at home Mummy, with me typing away my feelings during Baby Z’s nap times. In many ways, this blog still remains to be my personal mummy musings and the creative outlet for me, but it has also grown out to be much more than that. This blog has allowed me to be part of a strong and supportive blogger community, both in UK and UAE, and has allowed me to reach out to people going through similar tribulations that come with being a mother. In addition, this blog has allowed me to get an inside look into creative minds through Local Flair, where I am able to interview those who have established commendable businesses here in the UAE. This blog has also brought on numerous opportunities for me to explore my own city, Dubai, by being invited to events and launches, where I am able to not only appreciate the products but also discover new and amazing spots in Dubai. Advertising my blog posts have also meant that I have had to create accounts across the spectrum of social media, and I still probably don’t have them all, but it’s definitely a good feeling to see that they are all growing at a steady pace. It allows me to interact with other bloggers as well as readers, and also lets me have a scroll through funny parenting related memes or laugh at the accuracy of another parenting blog post. This blog started out as a personal diary to record my thoughts on Parenting, writing about topics such as pregnancy, being a first time mum, breastfeeding, teething, stretchmarks, and even holiday-ing with a baby, whilst coming to terms with being an expat living in Dubai. This, it will always remain as I want to be able to read back posts and capture the special moments that have made mothering Baby Z so so very special. Perhaps when my memory starts to get fuzzy with age, these posts will be a great reminder of the raw emotions I felt, and it will make these stories much easier to dictate to my little baby boy. Congratulations on your anniversary! As most people give up on blogging within a few months (I’m told), you’ve done very well! I agree too that blogging has been a great way to feel part of a wide community. Here’s to the next year ? Thank you for the encouragement and your kind words! ? Congrats ?may u have many more in sha allah?? In sha Allah!! Thank youuu! Congratulations! One year is awesome! I have seen so many blogs that stop after a couple months. I think 1 year is about the hump! Hope you have many more anniversaries! Thank you for the kind words! I hope so too! Well done Zeyna. Keep up the good work. You truly deserve it.